IT'S ALL ABOUT LIFESTYLE AND LOCATION! Enter a world that exceeds your expectations: The intimate property and the grand living/entertaining dream Where do we start? 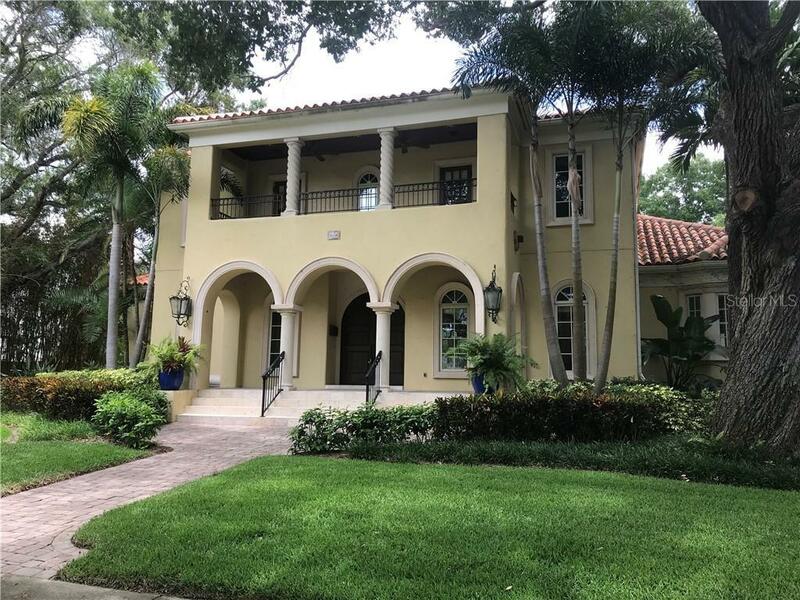 The 3000 Bottle Wine Room The Billiards Room with soaring views of the Bay The Custom Gym with Rubber Floors The Custom Mahogany Office The Tropical Oasis of a Pool Or Its Location right off Bayshore Blvd! The entire house was Built with a South Tampa Paradise in mind. Solid Mahogany Counter Tops contrast against the Black Granite in this Gourmet Kitchen with 8 Burner Gas Range with Solid Copper Hood Vent Double Ovens Double Dish Washers Warming Drawer Sub Zero Refrigerator Copper & Travertine sinks with Huge Walk In Butlers Pantry. A Huge Mediterranean fireplace warms the gathering room in a grand open concept that flows to the soaring wood beamed ceilings. There is a quiet guest suite bath and walk in closet upstairs with a large balcony. The other two bedrooms share a Jack and Jill Bath each with their own walk in closet as well too. Windows and French Doors open to this tropical paradise of pool and spa. The Master Suite is Huge Warm and inviting by the pool as well with his/hers dressing rooms luxurious double bath. The 4 Car Garage rear entry driveway is tucked away on a quiet Very Small Street of Richards Ct. This Estate is an absolute must see! Additional Water Information: Only able to see from the Bonus Room on second floor.